This year for Indigo Ribbon Month, keep an eye out for them. This year the theme is Indigo Ballons, all across the city that you are located, keep an eye out for the Indigo Ballons. They are supporting Targeted Individuals, and they are coming to a city near you. To take part, just visit your local party store, and you can purchase some plain indigo ballons, to take part. Blow them up yourself, or fill it with helium, and then release them, or carry them around. 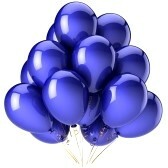 I am hoping to encourage a legitimate release of Indigo Ballons, on you guessed it, Indigo Ribbon Day. November 23 keep an eye out for those, bright, beautiful, ballons of hope. It’s your time. It’s your day. Whit Ballons with Targeted Individuals, or Indigo Ribbon written on the ballons are also fully acceptable if you are unable to find or locate Indigo Ballons, but most party stores, or local malls, even dollar stores might have something similar. As long as you are out there raising awareness, and getting the message out that is what really counts. 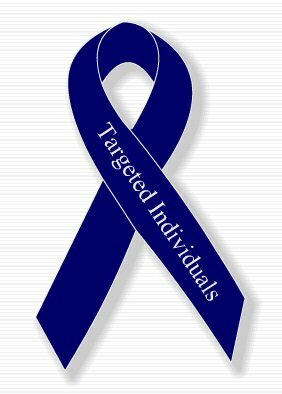 It’s that time of the year again, Indigo Ribbon Month is almost upon us, and it’s time for Targeted Individuals everywhere to unite, and raise awareness to the plight of Targeted Individuals, and the issues relating to the items faced by targets everywhere. Every year we encourage targets to either light an indigo candle, or create a quilt affiliated with their plight, to aid with raising awareness. We also encourage Targets to create their own unique campaigns around the globe. In recent years the campaigns have really taken off, and we hope to feature some of those campaigns, and initiatives on this website, along with updated quilts, and hopes and prayers for those Targeted. We hope that the Indigo Ribbon Campaign will be used to provide hope to Targeted Individuals who have not been able to find an outlet. This Ribbon Campaign is meant to be a voice to the many innocent targets of state run, or Government campaigns. The idea behind the campaign is to provide information and awareness. The Indigo Ribbon is also designed to be a safe unifying symbol that targets, and their supports can wear at an international level to show their solidarity. In today’s society, as in the past many innocent citizens are finding themselves targets of illegal or clandestine Government Campaigns. Some are being illegally tortured and experimented on, while others are virtual prisoners of smear campaigns, targeting and monitoring. Many of these targets have never given their permission or consent. Other are simply not aware that they are being targeted by their Government in this manner. It is hard to imagine or to believe that this atrocity actually goes on often unacknowledged, unnoticed, unaided, and in virtual silence, but it does. In Support of Targeted Individuals everywhere. Targeted Individuals are people who have been targeted by Government, military, and state run programs such as, but not limited to: Cointelpro, MK Ultra, Mind Control, Gang Stalking, Electronic Harassment, etc. Many of these individuals have been targets for years, suffering in silence. Others have been on the run for years. Citizens abused and betrayed by the relationship that they have with their state and country. A relationship that should never be abused. In the past people such as Martin Luther King Jr, Judy Bari. were targeted by Cointelpro with horrendous results. Others were targeted by government mind control projects such as MK Ultra. Journalists are targeted by something they refer to as the Buzzsaw. Others are innocent individuals being targeted by local programs, placed on lists or have warning markers and flags placed against their names on their files. This is then leading to human rights abuses, community mobbing, and illegal torture via electronic means. Targets with these warning markers often get no support when they report abusive or intrusive stalking and monitoring by the community, and other illegal activities. Years later targets are just starting to make small headway with lawsuits. Recently the Canadian Government paid out millions of dollars to survivors of a Mind Control experiment that ran in the 50’s in Montreal. The experiment was conducted by the US government on Canadian soil, with the Canadian Governments full consent.